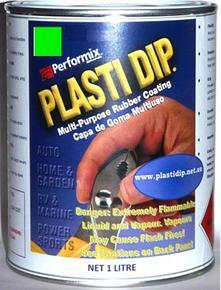 Fluorescent Colours: 1 Litre Plasti Dip Multi-Purpose Flexible Rubber Coating Brush-on, Dip or Spray. Occasionally, you may need custom colours, custom formulations and technical support. Our staff is ready to help. Please click the "Contact Us" button at the top of the page an submit your questions or requests.